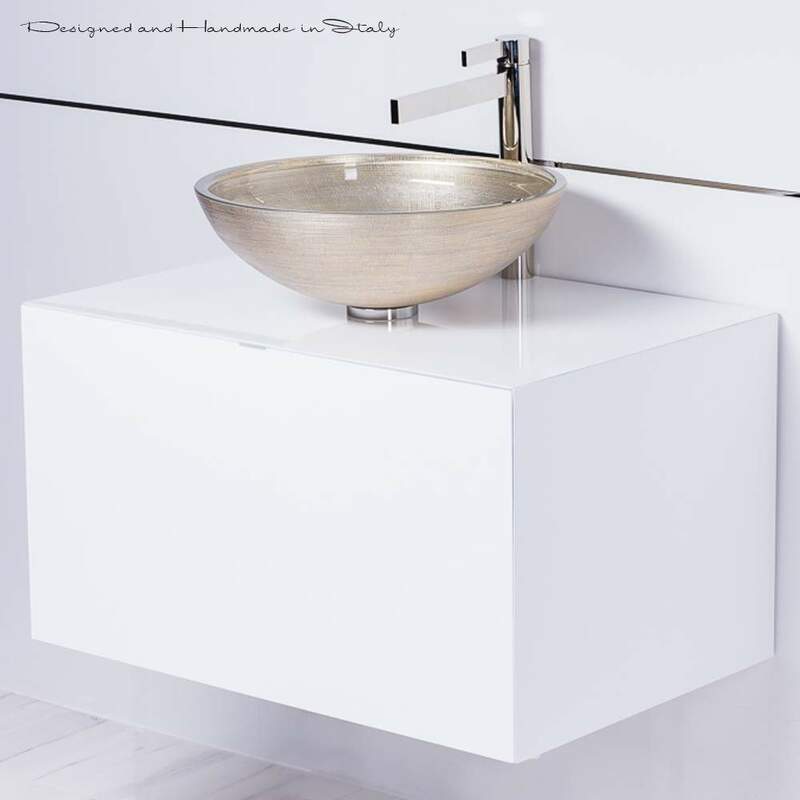 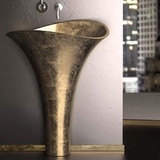 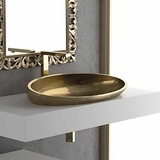 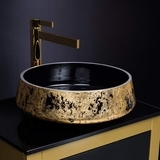 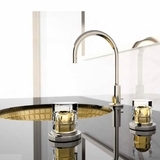 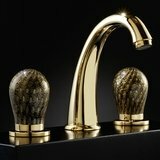 (2) Atelier Venice Gold Silver Designer Bath Sink - The minimalistic yet elegantly sculpted round bowl shape of Venice provides your bathroom, bar or almost anywhere you choose to display this wash basin with the modern yet simple design you desire. 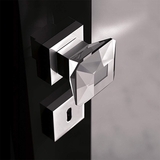 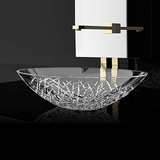 This sink is the perfected product of the �Florence Glass Atelier� project which allows for colors and textures to be embedded within the crystal. With warm, dark, and light color shades to choose from, this countertop product will fit perfectly within your space.